A trailer is an unpowered vehicle hauled by a powered vehicle. It is commonly used for the transport of goods and materials in general. There are different car transport types. Trailer Transport is one of them. It is a useful service that can help you in many situations. These types of trailers are known as house trailers or mobile homes. In general, people use these types of trailers for residency. In addition, trailer homes have chassis and are hauled by other vehicles. 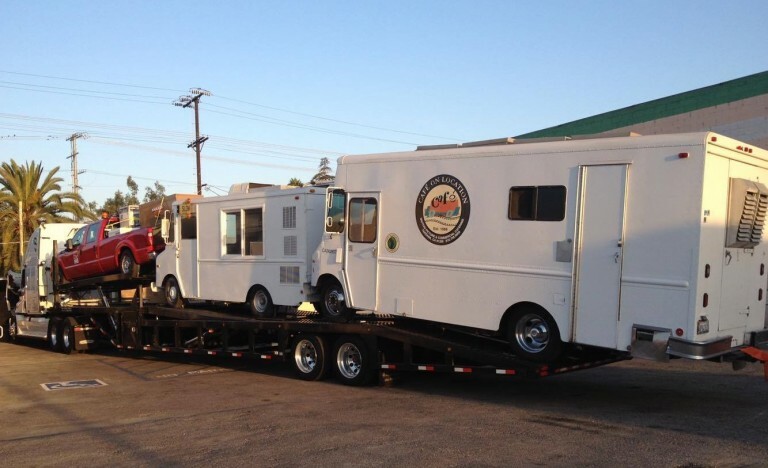 San Diego Auto Shipping is a car transport company which provide trailer transport for all kinds of trailers. It does not matter you have a mobile home or a cargo trailer, we will move it to any location across 50 states of the United States. Moreover, we can move your trailer directly to your door as we conduct door-to-door shipping as well. We are a car transport company who will take care of your convenience and budget. Furthermore, in San Diego Auto shipping we will do our best to arrange your trailer moving in a perfect way. Besides, we’ll give you the best available dates for pick-up and delivery. Finally, we can even help you if you need to transport your trailer immediately. You just need to book our Expedited Car Shipping services for that! In addition to affordable prices and high-quality services, it is safe with San Diego Auto Shipping. We provide full insurance to any trailer that we ship. So, you don’t need to worry about the safety of your vehicle when you cooperate with us. Our free quote is available online. Hurry up to fill it out. We will review it and get back to you at our earliest convenience.